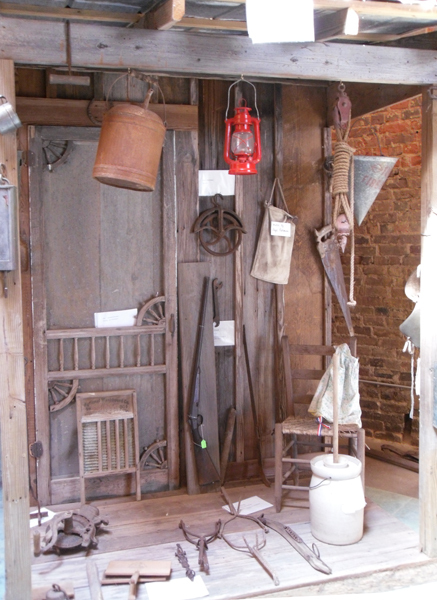 The Leonard Historical Preservation League holds an extensive collection of artifacts related to Leonard and Fannin County. 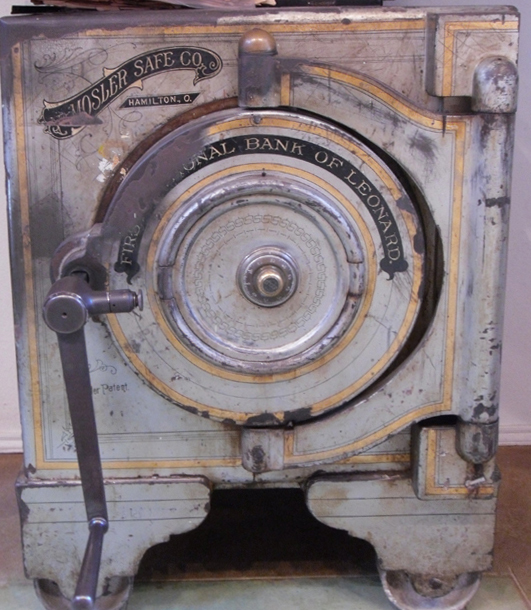 Local history buffs and genealogy researchers will discover that if it’s Leonard, it’s here. Early through mid-century photos of schools, churches, businesses and people are beautifully mounted and labeled, and the collection is growing all the time. 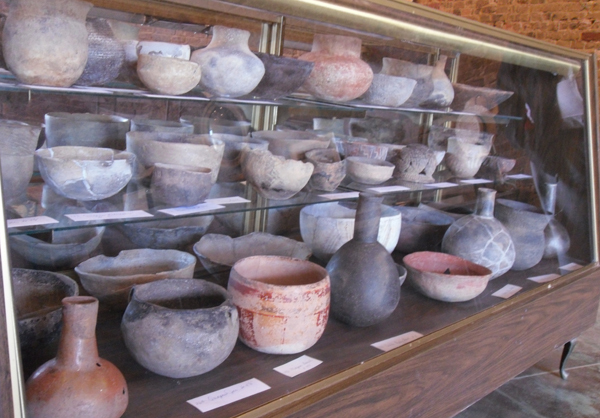 The museum includes a vast collection of antique Native American pottery. 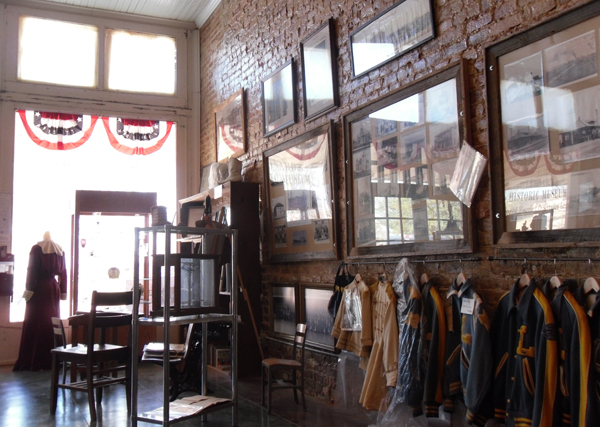 The Leonard Historic Museum is located on S. Connett Street, on the historic square. Call the Summer House at 903-587-2212 for hours or to schedule a tour. Mailing address: PO Box 450, Leonard, TX 75452. 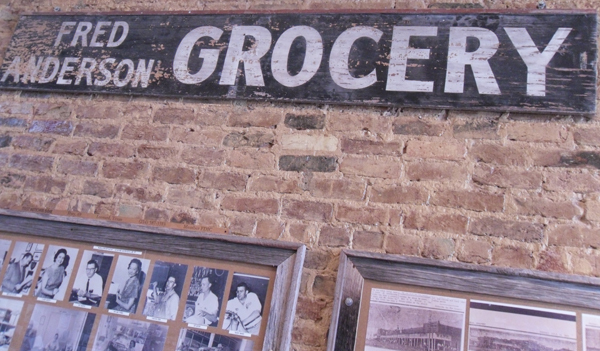 For more museums near Leonard, see the “Museums” link category on the right. Mama Muriel’s Doll Museum, located just outside of town, receives hundreds of visitors from all over the world: 5285 FM 1553 Leonard, Texas. Call for hours: (903) 587-3655. Click the photos below for a larger version. 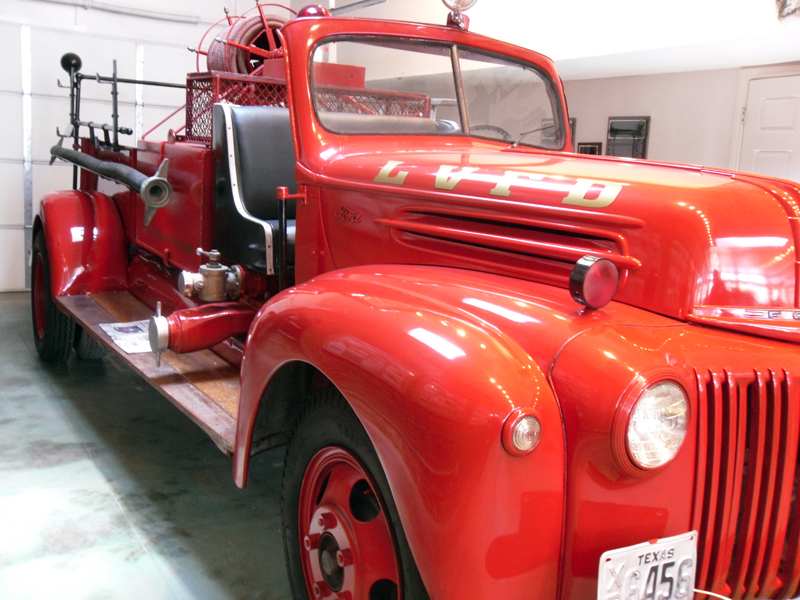 This restored 1942 Ford Fire Truck is on display in the museum on the town square.